Yesterday was Valentine’s Day, which meant my theme for the day was chocolate. I don’t usually need an excuse to cook with chocolate, but since I had one, I figured I may as well take advantage. My hubby and I were going to go for a bike ride yesterday, but ended up staying in and relaxing at home since the weather was a bit iffy. 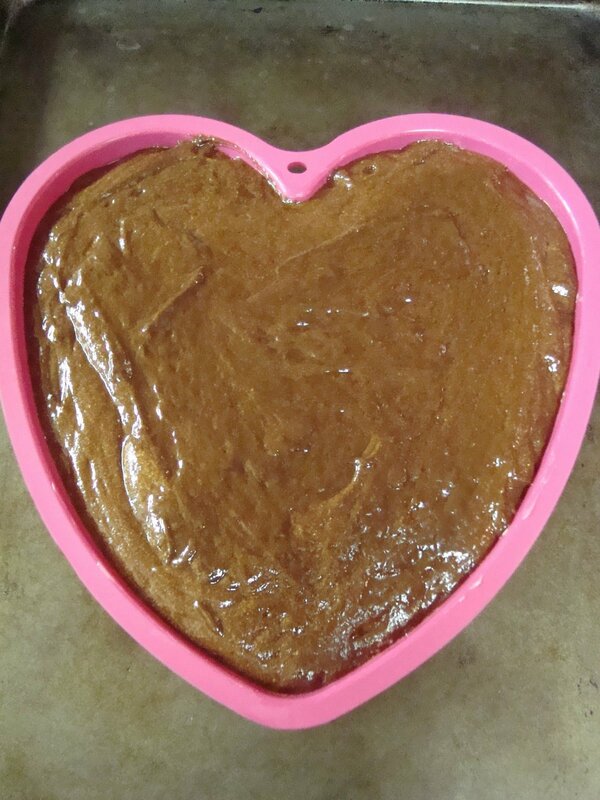 I took full advantage of the rainy day to make some Valentine’s-themed desserts. So, here are a few chocoholic creations for you. This one is pretty simple, but definitely delicious. You need some milk, unsweetened cocoa powder, sugar and cayenne pepper (but just a tiny bit…a little goes a long way, so be careful!). 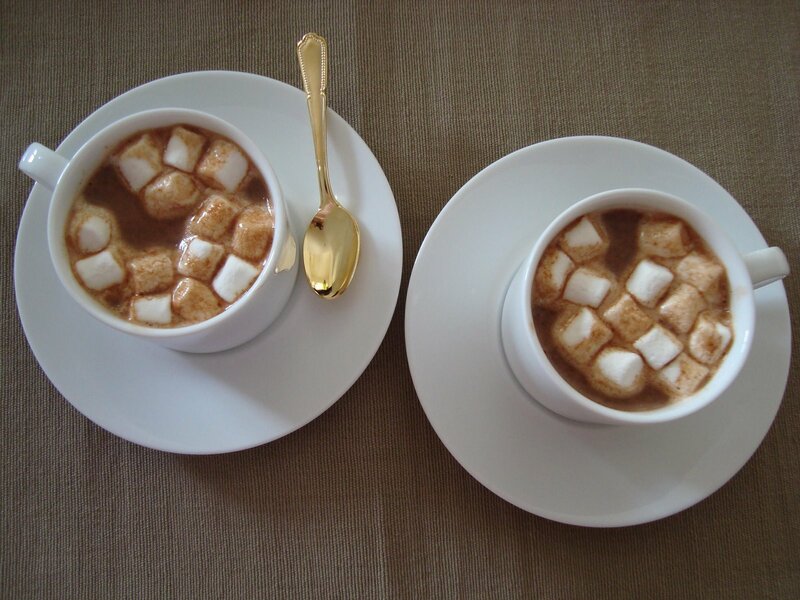 You can also top your mug with a few mini marshmallows, if you are feeling extra-indulgent. Warm the milk over medium-low heat, stirring frequently to make sure not to let the milk boil over. Add the sugar. In a small bowl, combine the cocoa powder and water. Stir to make a paste and add this to the milk. Mix well. Add the cayenne pepper. I recommend tasting as you go to make sure the levels of sweetness, chocolatiness and hotness are to your liking. Serve immediately and top with mini marshmallows. Preheat the oven to 250 degrees Fahrenheit. Prepare cookie sheets by covering with parchment paper. Place your egg whites in a clean bowl. Beat them on high speed using a stand mixer or egg beaters. Once you begin seeing lines forming in the egg whites (from the whisk), begin slowly adding sugar. Once all of the sugar is incorporated, you should have a stiff meringue. Add the peppermint extract and food coloring. Mix until the food coloring is fully incorporated. Transfer the meringue to a pastry bag with a #10 tip. 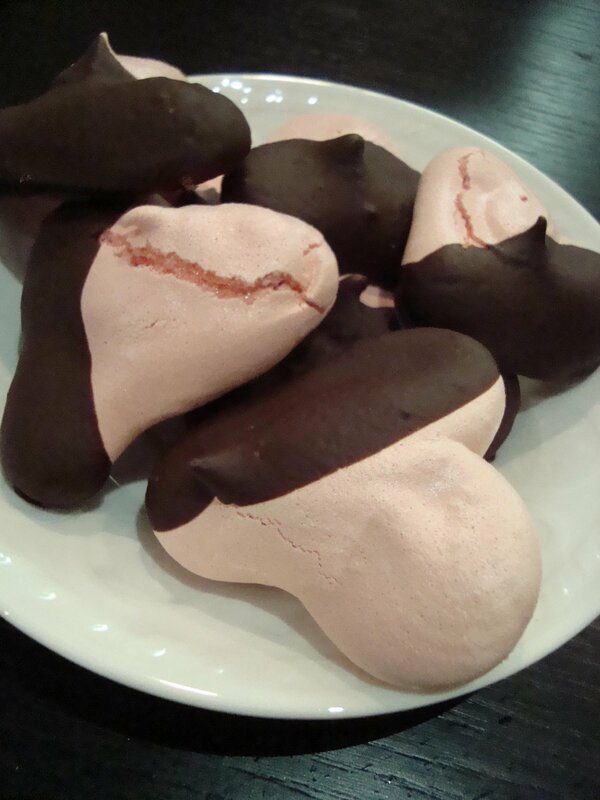 Pipe the meringue onto the prepared cookie sheets into heart shapes. Place the cookie sheet in the oven for about 45 minutes to an hour. They need to cook just long enough for them to be dry, but not so long to become golden. You want them to retain their pink color. Take the meringue out of the oven and allow to cool for 10-15 minutes. Then transfer them to a cooling rack so that they can cool completely. Once the meringues are cool, warm up some good quality chocolate in a small saucepan. 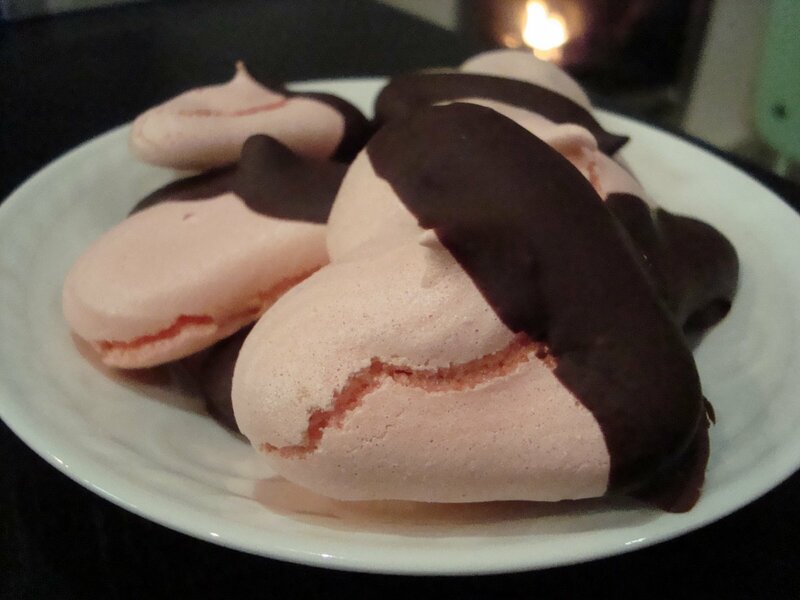 Once it’s completely melted, dip the meringues in so that half of it is covered with chocolate. Set the chocolate-covered meringues on a cookie sheet covered with wax paper. Put the cookie sheet in the fridge for about 30 minutes, or until the chocolate has cooled completely. Remove the meringues from the wax paper and store them in tupperware in the fridge. 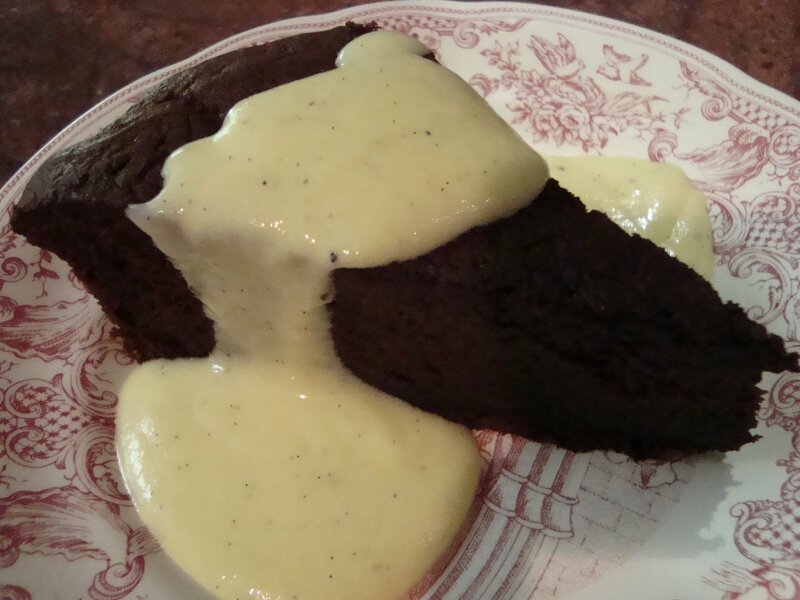 Finally, I’ll just post a few pictures of a chocolate heart cake I made earlier in the week, served with a creme anglaise. The concept of the cake was good, but something was off about the recipe and it was just okay. It’s pretty though, so I’ll post a picture and try to refine the recipe to post later! This entry was posted in chocolate, dessert, holiday on February 16, 2009 by seedsowingmama.